Today’s post looks at a subject that has been the focus for many of the posts in Financial Regulation Matters and that is Executive Pay. 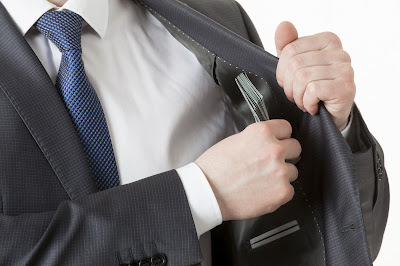 In recognition of the ever-increasing issue of executive pay despite poor performance, the blog has analysed a number of issues in this field, ranging from BP recently cutting the pay packet of its CEO to Credit Suisse vowing to increase the bonuses it pays to its leading managers. However, as discussed in a post dating back to the 9th of February, there is an undercurrent of unrest amongst shareholders that is slowly but surely beginning to shape the atmosphere amongst big business. In this post, the focus will be on reviewing the latest tranche of stories coming from the world of big business in relation to executive pay and, ultimately, the post will discuss how the trajectory of this movement to affect the pay packages of some of the leading business figures may continue. The first firm that will be worth discussing is Bunzl, the multinational non-food product distributor that is headquartered in London. The company made headlines last year because it decided to pay its former CEO, Michael Roney, a full year’s bonus package despite the fact that he had only worked a proportion of the year before leaving. In receiving a total package of £3.64 million, having only worked up until April of 2016, Roney drew the anger of shareholders as over 26% of the shareholder body voted against the pay package award. In reaction to the revolt, the company instituted a pro-rata system of pay packages, which have ultimately been welcomed by shareholders, although recent news that new CEO Frank van Zanten is to have the maximum bonus he can receive boosted to 180% of his £800,000 annual salary has prompted another wave of activism. Shareholder groups ISS and Pirc have stated recently that the remuneration policy, with regards to van Zanten, is ‘not without concern’ and is to be considered as ‘excessive’. The coming days should reveal the reaction to the latest round of activism within Bunzl, but the company is currently sticking to the oft repeated line of ‘the remuneration policy is intended to drive and reward performance’. ISS, an influential proxy advisor, have been busy recently. In addition to criticising Bunzl, the shareholder advisory service recently criticised the energy giant Drax regarding its decision to increase the pay of its CEO, Dorothy Thompson, to £1.6 million, despite the company recently announcing that shareholder dividends would be facing an overhaul. The energy company, which is currently experiencing a difficult period owing to the challenging conditions facing all energy companies, reacted by stating that it had consulted with the majority of shareholders before initiating the rise, but in actual fact nearly 23% of shareholders have voted against the hike, which should see the company backtrack or make the necessary changes to quell the uprising within its ranks. In a similar story related to the reaction to activism from shareholders (and in this case politicians), Credit Suisse who, as we know, were adamant that their top bosses would receive an increased pay package, have recently relented. However, rather than an official response to the activism, it is actually the bosses themselves have acted to see their packages reduced in the face of criticism. Tidjane Thiam, along with other top managers at the bank, have recently agreed to a 40% cut in their packages after an extraordinarily fierce response to their proposed $77 million increase, as was discussed previously in Financial Regulation Matters. Thiam, in writing to the shareholders of the bank, announced that the board had volunteered for the cut after shareholders has expressed ‘reservations’ about the increase, ultimately conceding that the recent and massive settlement between the bank and the US Department of Justice was ‘not appropriately reflected in the compensation of the current management’ which, in layman’s terms, means the board had been of the opinion that no one would question why they were being rewarding for being at the helm during one of the worst periods in the bank’s history. This development is yet another demonstration of both the power of shareholder activism, and also the incredible levels of detachment from their actions that some CEOs demonstrate. Another story, but one that is ongoing at the time of writing, is the move by customers of the embattled airline company United Airlines to limit the pay package of its CEO, Oscar Munoz, by way of a procedure initiated by United Airlines that sees its CEO’s pay package linked to consumer satisfaction. In reaction to the video that recently went viral of a Doctor being forcibly and aggressively removed from one of their airplanes, customers are reportedly ready to react negatively in consumer surveys which would see Munoz’s pay package reduced by $500,000, although this is unlikely to make a dent in Munoz’s reported $14.3 million pay package. However, the negative press is likely to continue for some time, so there is a likelihood that his pay package may be reduced even further, particularly if the share prices of the airline continue to fall in the wake of the PR disaster. In terms of companies responding to pressure over executive pay, it is worth ending this section with news that BT, the massive telecoms company, is reportedly about to claw back some of the £5.4 million earned by its CEO Gavin Patterson last year because of the scandal that emanated from the ‘inappropriate management behaviour’ in its Italian division which ultimately wiped over £8 billion from its market value – essentially, the division had been overstating its performance for years. As a result, BT’s bosses were being rewarded for meeting performance measures which were based upon fabrications, and as such it is now likely that its top bosses will have to pay back some of their bonuses linked to these performance measures. It is, however, likely that this will not be the end of the story for the bosses at BT, as the scandal looks set to further unravel, as is the way with accounting scandals (think of Enron, although that was on a much bigger scale, of course). However, not all companies are reacting to activism regarding the pay packages of their leaders. BlackRock, who as we have discussed in another post in Financial Regulation Matters are now the home of George Osborne, are currently in the news because it awarded its CEO, Larry Fink, $25.5 million after a number of job cuts last year and also after it had campaigned against excessive executive pay. The rise, when understood against the fact that BlackRock’s revenues and net incomes fell slightly, is in sharp contrast the claims that, as an institutional investor, it would ‘not hesitate to exercise our right to vote against incumbent directors or misaligned executive compensation’, which is a sentiment that its own shareholders are obviously not inclined to follow. In another story of executive pay despite poor performance, the CEO of G4S, the private security firm, received a record pay package of £4.8 million despite the firm suffering from a wave of scandals, including people being sent to prison because of faulty electronic tags, and a Young Offenders Institute being returned to the Government after a string of child abuse allegations against G4S staff. Although the company remains in profit, the incredible string of scandals associated with the firm, under Ashley Almanza’s tenure, makes the massive award seem almost ludicrous in the current climate. Ultimately, the stories that continue to garner headlines represent a developing sentiment. Yes shareholders are becoming more active in disputing the pay packages of their managers, but the coverage of this activism is, unfortunately, not absolute. The stories of BlackRock, G4S, and the recent decision by ISS to reverse its criticism of a pay procedure for bosses at Goldman Sachs mean that shareholders, as a general body, have much more to do to restrain the actions of their managers. Yet, this is the problem. Ultimately, shareholders of companies are exactly that, shareholders in that particular company. They do not, for obvious reasons, represent a unified body with concerns outside of their own advancement. The sentiment being developed by the headlines that shareholders represent a positive check on mismanagement is correct, but potentially misleading. It is misleading because it advances a mentality that shareholders should be the protectors against mismanagement when, in reality, it is the state’s responsibility. Shareholders cannot, and arguably should not, be placed as vanguards for protecting the public because, simply, that is not their role. The current political climate, which is dominated by the political ‘Right’, has cultivated this sentiment and we are now seeing the theoretical support for that movement. This is not to champion the political ‘Left’ – far from it – but there must be a responsibility taken by the state to act in the interest of the public. In this regard, we must understand these shareholder-champion headlines from within that framework.